Not everyone who is born under a lucky star chooses to share its light. Not so Bill and Jane Fortune. The Indianapolis couple and longtime Leland summer residents believed it was their responsibility to use the gifts they had been given to create good in the world. And so they were quiet champions of the underdog, protectors of the environment and worked in the political arena on matters of equality and justice. The Fortune’s impact on our organization—and many others–is sizeable. The couple were lead donors for our Leland Village Green and Whaleback projects. When Bill Sr. passed away, we received a gift that jumpstarted our endowment fund and provided a meaningful layer of stability to our organization. After Jane died last year we received a second sizeable bequest. “We would not be the organization we are today without the help of the Fortune family,” says Director Brian Price. Bill Fortune Sr. began coming to Leland as a toddler; his parents owned a cottage on North Lake Leelanau. 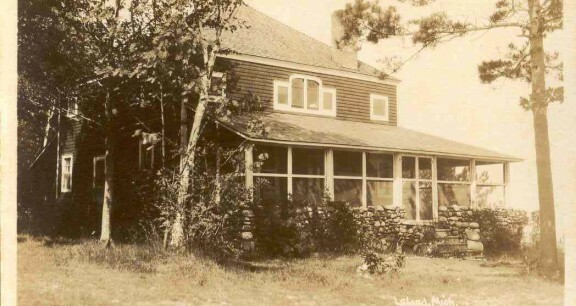 After he and Jane were married, they too brought their family to Leland for the summers, staying everywhere from the cottage to the Leland Lodge to rental properties on Lake Michigan. 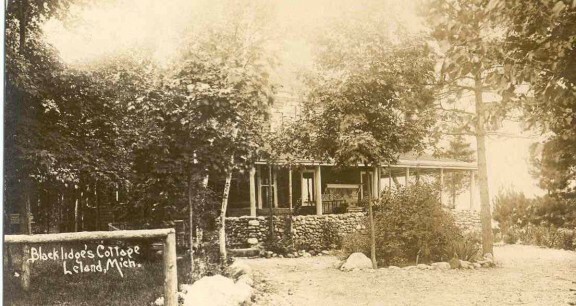 In the ‘70s, they bought what is known as the historic Blackledge Cottage, which sits in the shadow of Whaleback. The cottage features a classic wraparound screen porch with wicker furniture. It overlooks Lake Michigan’s ever changing moods, pounding surf and spectacular sunsets. Jane adored the porch, and Leland. “Every summer when Mom arrived at the cottage, her first words were, ‘I’m home,’ and we, her children, all feel that same way,” says daughter Jane. “It’s a magical place and when I’m not up there, I miss it terribly.” Today, all of the Fortune children own homes in the Leland area. Their childhood summers began with loading the station wagon when school let out. The family, along with two dogs and cook, Nettie, crowded in for the 400-mile trip north. “We looked like the Beverly Hillbillies,” laughs Bill. Jane recalls hours spent hours at the beach. “We soaked up the sun, and searched for heart-shaped rocks and driftwood that resembled whales,” she says. Her mom particularly loved blue stones. There was always a jigsaw puzzle in progress, nightly campfires, and an Ouija board to quiz. “Back then, there were no soccer camps that today end the summer so early for a lot of families,” continues Bill. “Kids did not drive the bus in my parents’ generation. We were not the center of my parents’ universe, we were the outer planets.” He recalls being rustled out of bed one night at 2 a.m. to see Haley’s Comet. The environment was important to Jane and Bill. “They talked often about what we were doing to it and how we could be stewards of it,” adds Bill. The couple was one of the first to donate to save Fishtown and underwrote expenditures that made the Hoosier National Forest possible. 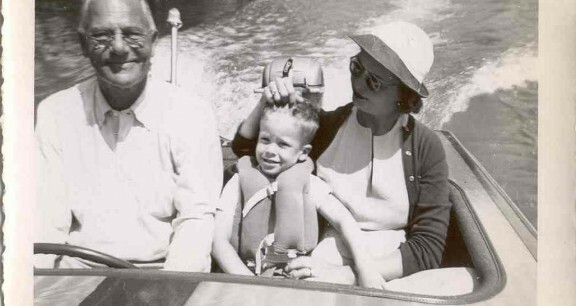 His sister, Pam, says her parents “were an excellent model of how a couple can live and love each other for 66 years.” She admired her mother’s hard work in establishing the Indiana Dyslexia Society and Camp Delafield, a summer camp for learning disabled children. In addition to philanthropy, politics occupied Bill Sr.’s days. He served many roles, including state legislator. Bill Jr. says his father could have been governor of Indiana but refused to bend to the will of special interests and was called “Fortune Turncoat” when he switched to the Democratic Party. Bill Sr.’s character was shaped by a housefather at a New Jersey boarding school. “This man, according to my dad, was a man of great principles, and left him at the age of 12 with a sense of his life’s purpose,” says Bill. After boarding school, Bill Sr. attended Princeton, where he later established a speaker series. Jane Goodall, the famed scientist who studied primates in Africa, was the first speaker. Both Molly and I were touched by this narrative on the Fortune family background. Your family has done so much for the area and in many ways it was done unsung. We would like to be on record that THANKS be extended to the entire Fortune Family.